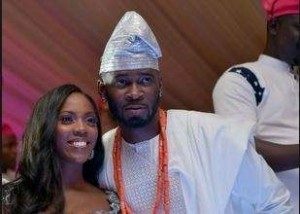 Mavin Records singer, Tiwa Savage raised eyebrows when she was seen throwing up the diamond sign during her performance at the One Africa Music Fest a few days ago. With many believing the sign was as a result of her deal with Roc Nation, the singer has stated the Jay Z-owned management company isn’t trying to change her. Days after her performance, Tiwa sat down for an interview with popular Hot 97 New York radio host, Ebro Darden where she discussed African music, and her deal with Roc Nation. ‘I met B High (Jay Z’s cousin, and Roc Nation chief of mobile strategies), I got a call, and he mentioned it and I (makes a skeptical sound)…He was serious. I don’t know if you’ve ever met him, but he is serious. And I love the fact that they are not trying to change me. They really just want to bring what I already have to offer to the rest of the world, and they truly believe in the movement. So yeah, I’m really excited about it,’ she said of the deal. Ronaldo Set To Exit Real Madrid?